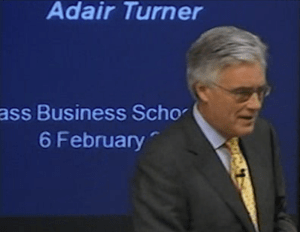 Anatole Kaletsky writes about the 46-page speech that Lord Turner, Chairman of Britain’s Financial Services Authority gave at the Cass Business School on 6th February 2013. Positive Money writes Adair Turner tumbles to the merits of a Positive Money idea. In 2008, I had been advised by a human rights lawyer to ‘go for Parliamentary scrutiny via the Treasury Select Committee‘. Since the Treasury Select Committee had just announced their inquiry into climate change, we submitted Green Credit for Green Purposes. Since 2002, Austin Mitchell MP has been tabling Early Day Motions to address exactly this: ‘overt monetary financing’ – but under a different label: public credit. overt monetary financing (OMF) or “helicopter money” as ‘permanent monetisation of government debt and ‘extreme option’ in ‘extreme circumstances’. This is an interesting story about Brazil, vouched to be correct by a commentator who lived in Brazil at the time. The “Unit of Real Value” acts as an extra and REAL measure and thus provides a real and stable yardstick in a sea that wobbles with ‘credit money‘ and ‘interest money’ – unrelated to any real value. Who else might copy this model that worked??? Quantitative easing explained the American way on a 6-minute video. First, I contributed to quantitave easing on Wikipedia. Now, Ask the Deputy Governor offers the following 16 questions addressed to the Bank of England with their answers. 1. Given inflation has only just fallen below the Government’s 2% target, why is the Bank of England adopting such a large unconventional policy measure? The effects of monetary policy on prices and real activity only come through after long and somewhat variable lags. Comment: 2% inflation of consumer prices is only possible when measuring inflation extremely short-term. The Office of National Statistics keeps writing about annual inflation, while also gathering monthly data. Inflation as “price inflation” is only one aspect. The real inflation is the supply of money as currency for the nation as a whole, which should be called “monetary inflation”. QE means Quantitative Easing. It means Central Banks printing money. But their kind of money is Credit Money, i.e. somebody receives interest payments, and taxpayers pay via the Government’s share in the budget of “public debt interest payments”. When Governments print money, it’s “Cash Money” which is not only free of interest, but also gives them seigniorage as income. However, creating money electronically out of thin air would not justify seignorage. But why do Governments hand their power of creating money over to their Central Banks?